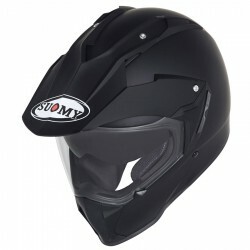 MX TOURER represents a milestone of SUOMY production, with this helmet SUOMY enters in new market for the company, in particular the one of Enduro helmets. 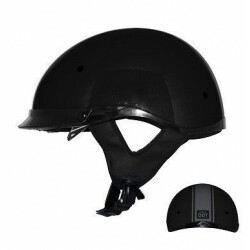 Outer shell made of Tricarboco composite material (a combination of Kevlar, carbon and fibreglass and aramidic resins), available in two sizes (M and L), 100% hand made in Italy. 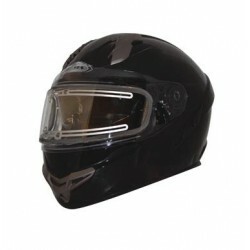 The Face shield is thermoformed from a polycarbonate flat sheet. 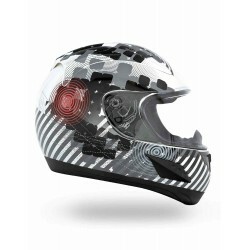 Each face shield is a one-of-a-kind piece with unique optical features and mechanical resistance. 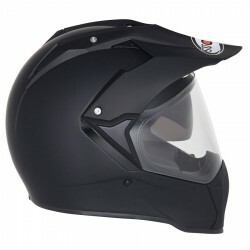 Thanks to this process, the face shield is anti scratch and anti fog and there is no need to use additional lenses on the visor. 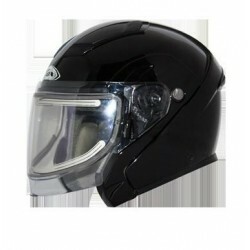 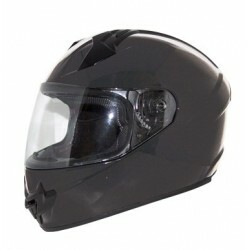 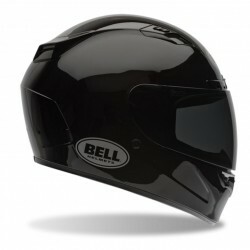 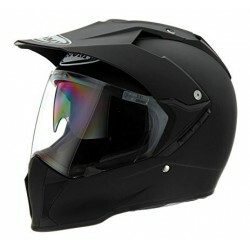 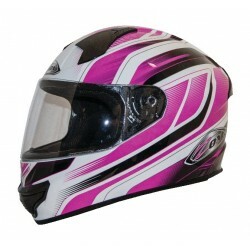 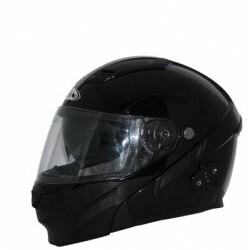 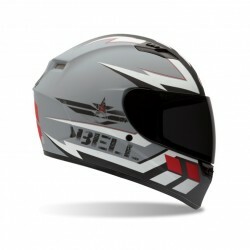 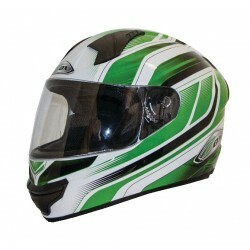 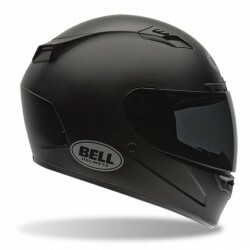 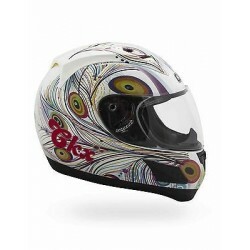 The helmet is equipped with a second Inner Visor, in light smoke colour, that can be used as sun glasses. Peak developed in the wind tunnel is ergonomically designed to control and reduce of 50% the buffeting effect of the standard peaks. 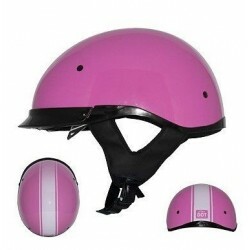 Removable and washable Cheek Pads and Inner Comfort liners, available in different thickness for complete customization of the final product.